This jQuery plugin converts a properly formatted table, having thead and tbody elements (tfoot optional), into a scrollable table. Scrollable tables are most useful when having to display lots of tubular data in a fixed space. 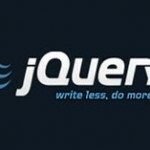 I needed a jQuery image preload plugin in order to detect when an image had actually loaded, so I built one!